Zlatan Ibrahimović is an unpredictable striker on the football arena. He is famous for his numerous goals and temper. Zlatan is also considered one of the most successful sportsmen of the 21st century. A new Swedish word “Zlatanera” was named after the player (by the way, it was officially recognized). It means "to dominate." The great athlete was born in 1981 in the Swedish city of Malmö. Zlatan’s parents did not share the same religion. Father Šefik Ibrahimović is Islam, and the mother, Jurka Gravić, is a Catholic. Zlatan is also of mixed Bosnian Croatian heritage. Implausible information about the confession of a football player appeared in the media, but Zlatan does not practice any religion. The forward said that his parents did not have a relationship. They divorced when the future football star was two years old. So, Ibrahimović lived with his mother, who was strict and sometimes beat him with wooden spoons for disobedience. 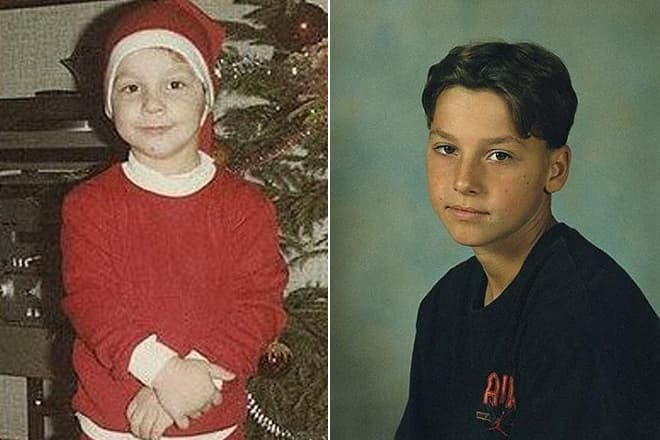 Zlatan often missed his father, because they had fun together. There was a real ghetto in Malmö, where Zlatan spent his childhood. Immigrants crowded the streets, so there were often fights, skirmishes or thefts. Zlatan even stole things because once anyone stole his bicycle. So, he did not take only sweets, but also cars. Therefore, the player admits that if it were not for football, he would have become a criminal and stay in prisons. The forward’s most favorite subject at school was mathematics. Zlatan was so good at it that he even did not write down what the teacher was saying because he could find the solution using logical thinking and pictures in the head. Therefore, the athlete compares the school subject to football, but he was a diligent student. A teacher kicked Ibrahimović out of an Italian class, and Zlatan stated that he would learn the language after becoming a champion. Besides football, Zlatan attended martial art classes in his childhood, and he was even awarded taekwondo black belt. 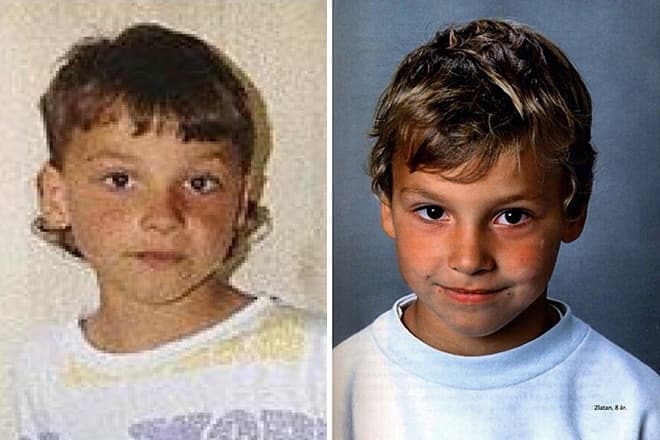 Ibrahimović was fond of football when he was young. At the age of six, he got a gift. It was a pair of football boots. At the age of 8, he played in FBK Balkan, which consisted of Balkan immigrants. There, the future striker began to show his leadership skills. 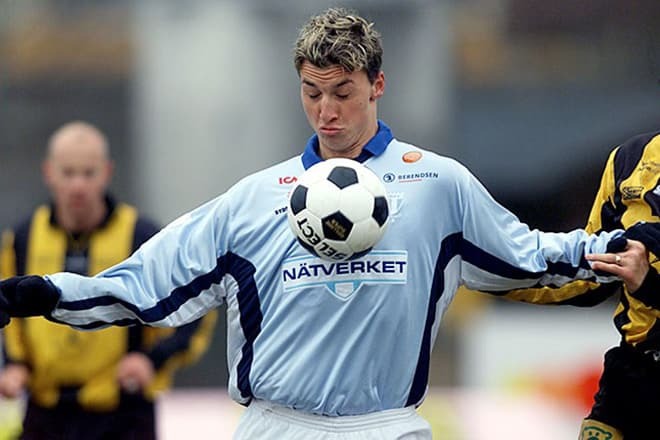 Later, at the age of 12, the boy joined Malmö club, where he spent his best childhood years. At first, he played in a youth team for four years and then moved to the first team. Ibrahimović astonished fans with a brilliant game on the football field. So, Arsène Wenger soon noticed the player, but the latter refused the offer of the Arsenal coach. However, since 2001 he began to cooperate with football club Ajax in the Netherlands. Ibrahimović played in Ajax for three years, but after six months of successful performance in the Amsterdam club, he was disqualified for five matches for aggressive behavior on the field. He elbowed in the opponent's face. But in Ajax Ibrahimović won the Champions League, and in 2004 Zlatan scored the best goal of the year. After a good start in Ajax, the football player moved to the Italian club Juventus, which paid a lot of money for the player. The transfer cost 19 million euros. While being in Juventus, Ibrahimović scored goals and was named the Serie A Foreign Footballer of the Year. The athlete was also awarded the Guldbollen, a prize awarded to the best Swedish footballer of the year. However, in Turin, the football player did not make a flourishing career. In the first season, he managed to score only 16 goals in 45 games. Although Real Madrid offered Ibrahimović € 70 million, the Italians gave Zlatan one more chance, but he could not show successful performance in Juventus. 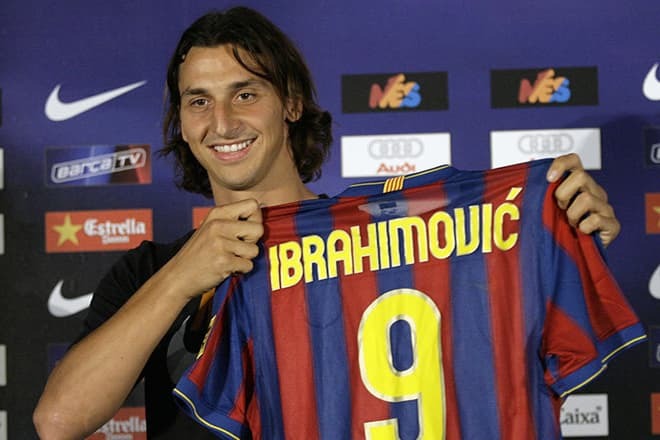 In 2006, Zlatan moved to FC Inter Milan. He supported the team when he was young. The new football club paid 25 million euros for the player, which was much less than Real offered. Zlatan became a real European star in the black and blue form of the new football club. For three years, Zlatan became the top goalscorer of Serie A and managed to score 66 goals, which helped Inter Milan become the Italian leader. In the 2008-2009 season, the club won three Championships and two Super Cups. 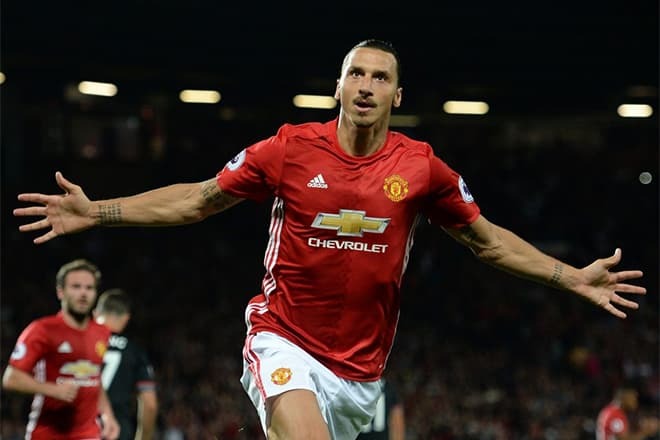 However, Zlatan Ibrahimović has long gained the reputation of an athlete who did not stay long in a club but continuously moved forward. After the Milan team, the forward showed his skills in the Spanish club Barcelona, which offered 46 million euros for the striker. But Zlatan stayed for one year in the famous football club and managed to show himself as a tough player on the football field. So, he was suspended for ten matches. The conflict between the athlete and his coach Pep Guardiola contributed to his leaving Barcelona. The player admits that envious Pep was his worst enemy. However, FC Barcelona does not regret that such an obstinate and tough player was a part of its team. During his stay in the club, Zlatan won Serie A and two Super Cups, and he managed to score 21 goals in 41 matches. In 2010, Ibrahimović joined A.C. Milan. Thanks to his brilliant game the club signed the football player from Barcelona. The Italians needed a reliable striker, and Zlatan did his best, winning Serie A and the Supercoppa Italiana. However, Milan had financial problems, and while Internationale fought for the forward, the Rossoneri immediately accepted the offer of PSG. Ibrahimović has not liked to stay too long in one team. Thus, he happily moved to the French club. 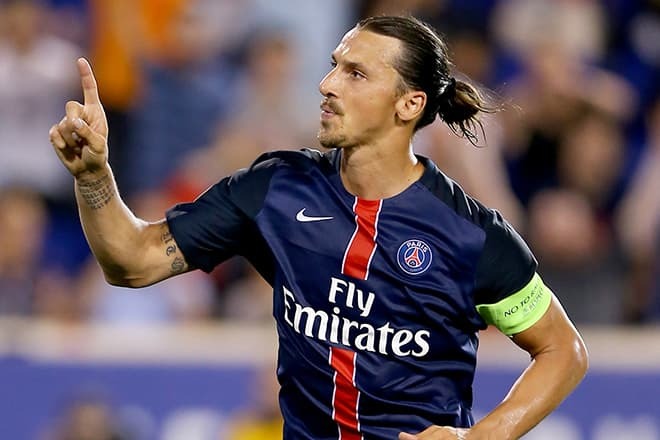 In the Paris team career of 31-year-old Zlatan was on the rise. He beat his own record, scoring 30 goals in the first season, and also was named the best scorer in France. Some football fans believe that Ibrahimović has achieved success not only because of the desire for victory but also because of his physiological features. The player with the height of 195 cm is incredibly flexible. Zlatan Ibrahimović is a player with rude behavior on the football arena, but it does not prevent the young man from possessing good personal qualities. The former PSG striker is a philanthropist. He participates in charitable actions. 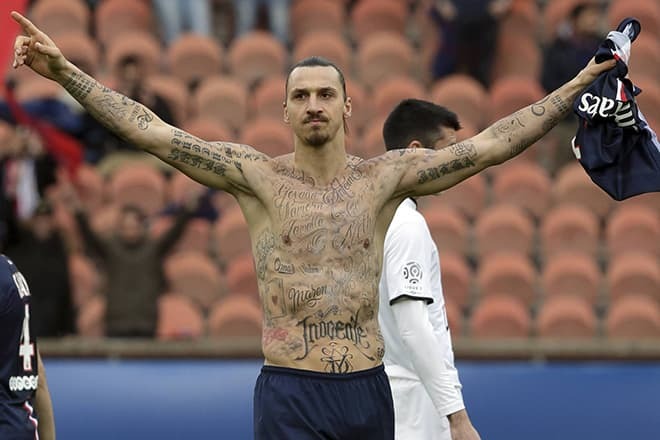 In 2015, Zlatan took off his shirt during the match. Besides well-known tattoos, there were 50 inscriptions with the names of starving children on the body of the famous striker. Thus, Ibrahimović drew public attention to the global problem. Besides football, Ibrahimović has his business projects. He says that they bring him the same pleasure as sports. The athlete does not need additional income as he can easily buy a hotel where he stays or several houses in the district. But when his start-ups (for example, the perfume and clothing lines) flourish, Zlatan becomes very happy. He has also signed a contract with Nike and appears on the covers of men's magazines. Zlatan’s name is so popular that postage stamps are featuring Ibrahimović. He also was honored with the inscription of his name on the city's “Walk of Fame of Sports.” In his spare time, the sportsman wrote his autobiography "I am Zlatan," and later published it. In 2015, the footballer starred in the movie Becoming Zlatan, which tells the biography of the great striker. Ibrahimović is not only an outstanding sportsman and businessman but also an intelligent person. For example, he knows five languages fluently. The only Ibrahimović’s oddity is that the forward likes to refer to himself in the third person. It is also known that the football player does not like journalists and often makes fun of them. Zlatan is a devoted admirer of Ronaldo and feels free to tell about it. 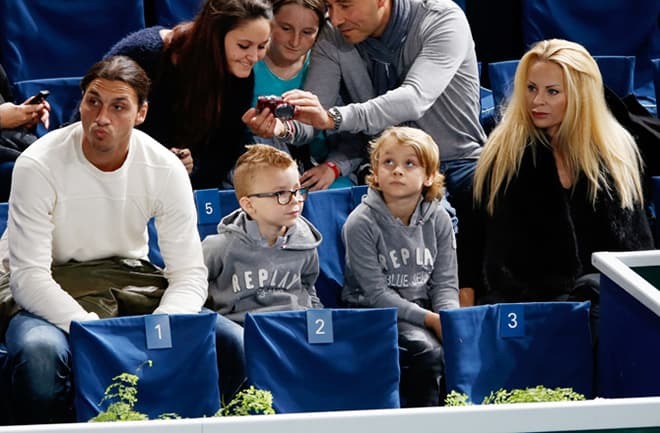 Ibrahimović is interested not only in his career. He has a family: the wife and two children. However, he does not share family photos on the official Instagram account, mainly posting pictures from the football field. In 2016, Zlatan Ibrahimović officially announced that he was leaving the football club PSG. In 2017, the 35-year-old Swedish footballer played for FC Manchester United. The striker has already scored 16 goals in 26 games.